A willing and versatile footballer who joined the Blues from VFA colleagues Preston in 1925, Charles Farquar McSwain wore guernsey number 3 in 68 senior games over six seasons. A popular clubman and an effective follower-defender, he was born in St Arnaud in Northern Victoria in 1901. He grew up playing football in the local district that included Merbein before coming to Melbourne and joining Preston in 1925, and from there was invited to Princes Park. Charlie spent much of his debut season with Carlton at half-forward, and although he kicked only one goal in his first dozen games, his unselfishness and vigorous team play set up many scoring opportunities. Late in his second season he was shifted to half-back, and from then on, he was a regular in defence. 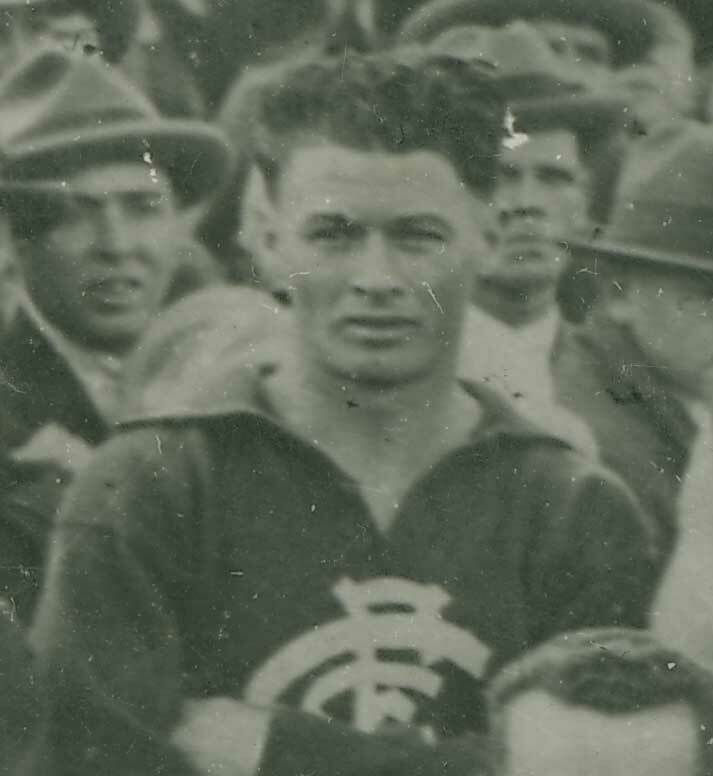 Charlie waited five years to experience his first final with the Blues, being stationed at full-back when Richmond beat Carlton by 6 points in a titanic 1929 Preliminary Final. Then in 1930, he played his last VFL game in very memorable circumstances in round 14 at Princes Park, when the Blueboys slaughtered North Melbourne by a record 128 points. The following year, McSwain was cleared to the free-spending Northcote who had lured several League players to the club, where he created a formidable first ruck combination with future Carlton coach Percy Rowe. The Brickfielders went all the way to consecutive Grand Finals in 1931-’32, losing narrowly to Oakleigh at the first attempt, before defeating Coburg comfortably the following year. After winning that flag, Charlie accepted an offer to return to Preston as captain-coach in 1933. He took the team into fourth place, but somewhat controversially decided to play in the semi-final when injured. He continued in the role in the following year when Preston finished third, but McSwain called it a day at the end of the season. At the end of the season he retired and finished off more than a decade of VFL-VFA football with two years in charge of the Bullants. Charlie seems to have been a man of few words. Ex-Preston Secretary, Ern Hannah, was asked on retirement about memorable coaches speeches he had heard in his 18 years in the position. Hannah noted that the shortest was McSwain before the 1933 season, when his in-depth address was "Players, go out and do your best". In his later years, Charlie returned to live in country Victoria. He passed away at Mildura on October 12, 1976 - his 75th birthday. Contributors to this page: Bombasheldon , blueycarlton , pblue , Jarusa , PatsFitztrick , tmd1 , true_blue24 , molsey , dgreen2 , nikki and admin . Page last modified on Saturday 08 of September, 2018 08:14:38 AEST by Bombasheldon.